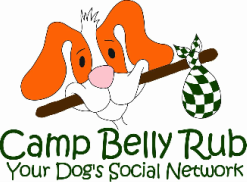 We have a brand new Belly Bus for your dogs transportation needs. Pickups are must be scheduled the day before and are on a first come first serve/ location basis. As demand grows, we will centralize pick ups! Your best friend will be safely crated on their way to Camp!